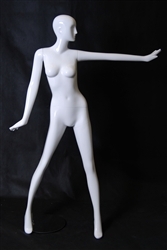 Our glossy black female mannequin is in a seated pose with her hands in her lap. 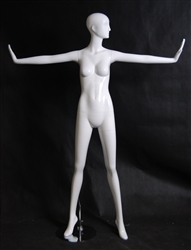 She can be used as a headless mannequin or stylish interchangeable heads can be purchased for an additional cost. She is made of fiberglass with a glossy black finish. Base NOT included.